Introduced for the very first time in 2019 to reflect current GAMSAT trends! We call them our Virtual Reality (VR) GAMSAT exams because they are as similar to the real exam as possible without replicating the real exam. 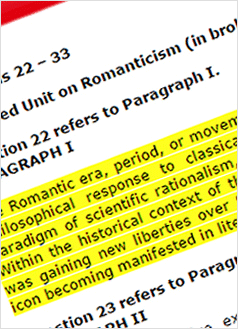 VR-1 and VR-2 are both full-length ‘greatest hits’ practice papers proctored on campus. First, we constructed the step-by-step worked solutions for all 440 Section 3 MCQs from ACER with the aim to make your GAMSAT preparation easier. But of course, in so doing we took a deep dive into ACER’s techniques, reasoning and strategies. This experience informs the construction of our VR exams. Then, we listened to recurring exam themes from students as reported in public forums, with an emphasis on the most recent real exams. To be clear, we have no interest in replicating precise questions; our objective is to replicate the reasoning through themes which can be applied to innumerable other scenarios that ACER may construct. We have taken our top MCQs: 185 for each exam from across the GS Universe of over 5000 MCQs based on recent and recurring themes from the real GAMSAT. All of this, and you can sit the VR test as a proctored exam in a classroom with your peers. You will receive raw scores, scaled scores, and your 2 essays corrected and returned to you within 1 week with helpful, constructive comments. The GS Universe includes 4 books, online chapter review MCQs, webinars, HEAPS mock exams including GS exams, as well as some content strictly constructed for the VR mock exams. For the September and March GAMSAT Courses, VR-1 and VR-2 are followed by online access to answers, helpful worked solutions and strategies including Section 3 background videos where applicable. For the March GAMSAT Course, VR-1 is also followed by 2 full days of deconstruction, strategies and PBL. Now is the time to get ready for your Virtual Reality GAMSAT! • Handouts are included in course tuition. • If you intend to purchase 6 or more days, it may be more economical to purchase our 7 or 8-day GS GAMSAT Course. Please note: The above course locations are venues for our GAMSAT courses. Our courses hold no affiliation nor have we sought or received endorsements from these colleges or organisations. • The 2 essays (Task A and Task B) from each mock exam will be scored and returned to you within 48 hours with helpful, constructive advice. • NOTE: If you intend to purchase 6 or more days, it may be more economical to purchase our 7 or 8-day GS GAMSAT Course. * We realise that not everyone fits cleanly in either of these categories so it comes down to a personal choice. If you have a remote science background, little or no science in your formal university education then these are generally regarded as “Non-science Background”. †Most of "Introduction to GAMSAT Graphs" involves graphs related to Biology. Our bridging course is bonus study time that you can use in whatever way benefits you most. You can attend in full or in part. You can bring other study materials if you wish. Our Gold Standard GAMSAT Courses schedules are likely outlines of our courses but may be somewhat modified without notification depending on class size and need, as well as any suggested or announced changes to the real GAMSAT, or other unforeseen circumstances. We prioritise preparing students for the real exam rather than teaching topics which are no longer relevant. BRAND NEW: Virtual Reality GAMSAT exams VR-1 and VR-2 constructed to develop your exam-level reasoning and strategies directed to recently trending GAMSAT topics. Note: ALL students will receive online access to worked solutions to each and every question after sitting this mock exam. NEW: The 2 essays will be scored and returned to you within 48 hours with helpful, constructive advice. Continuing the review of the worked solutions is the basis of this brand new session. We continue to use PBL to further develop exam-level reasoning and strategies directed to advanced and recently trending GAMSAT topics (9 am – 5 pm). BRAND NEW: Virtual Reality GAMSAT exam VR-2 constructed to develop your exam-level reasoning and strategies directed to recently trending GAMSAT topics. Note: ALL students will receive online access to worked solutions to each and every question after sitting the mock exam. The 2 essays will be scored and returned to you within 48 hours with helpful, constructive advice. VR-1 and VR-2 are our “Greatest Hits” exams! These are our only exams that are solely available in class (our other exams are available in the Heaps book or as online tests). VR-1 and VR-2 contain our most relevant content from our 5000+ MCQs PLUS brand new practice questions touching on the reasoning required by the most recent GAMSATs. After the mock exam, all students will be provided with online access to worked solutions to every practice question in their Virtual Reality GAMSAT mock exam. 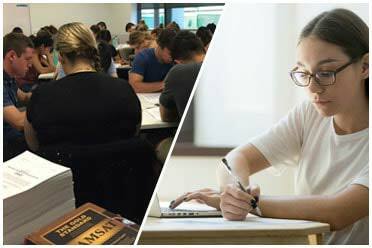 If you wish to purchase any of the 3 paperback Gold Standard textbooks or the 10-exam Heaps book individually or as a package, either close this window and scroll to the bottom of the webpage for fast delivery, or purchase from www.coop.com.au and pickup at your local uni. Coop Bookshop. Come learn from our experience. Every year, we do have students attending our classes with no preparation. Although all students will learn in class because of the interactive way we teach, preparing for class will help you optimise your in-class experience. If the real GAMSAT is the Olympics, Gold Standard courses represent your coach and training, and what you do at home is similar to going to the gym to work out before you come for training. We will spell out the ideal pre-class preparation below. However, if the ideal is not possible, no matter what your background, please review our online Gold Standard videos. As an example, you can learn all of the high-yield Physics for the GAMSAT, from the very beginning right up to what we do in class, in only 5 hours. So at least by spending time reviewing each of the sciences in the Videos section of gamsat-prep.com while taking very brief notes, you would greatly improve your long term advantage of attending class. If you don’t want to access our videos, you can try Khan Academy or YouTube searches. Our aim is to help you optimise your score in the most efficient way possible. There are some fun things that we suggest for Section 1 and 2, like spending a few minutes on TED.com at least twice per week. If you see a video that you really like, take down just a couple of sentences (notes). You may find it perfect for an essay. Do the exercises in the Gold Standard book for Sections 1 and 2. If you don't have the book, consider getting GAMSAT University which has an online version of the book: GAMSAT University. 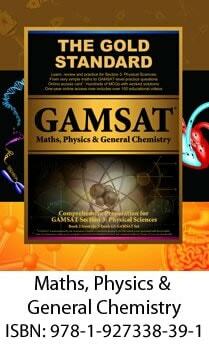 You can find a Study Plan that you can download and more advice here: FREE GAMSAT Advice. Online webinars: Dr Ferdinand has free one-hour live online monthly seminars: FREE GAMSAT Webinars. If you have particular difficulty in some area, just let us know how you are preparing and we'll see if we can give you some advice or guidance. You can use the Live Chat feature on our website or our GAMSAT forum or email us directly at learn@gamsat-prep.com. Of course, we do recommend that you do some reading before the course begins. 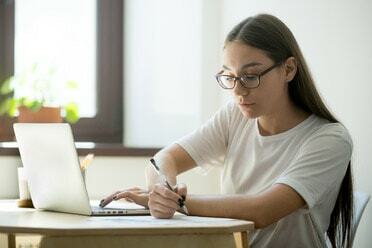 As you know, your options include The Gold Standard Textbook or The Complete GAMSAT Home Study Package or, for ESL students or those who have sat the GAMSAT and have had problems in a particular section, we have specific online programs for Sections 1, 2 or 3 (these programs are automatically included in our comprehensive course packages). One of the initial steps to understand graphs and tables is to review the GAMSAT Math chapters of the GS GAMSAT book. Math is the basis of graphs and tables and must be understood before moving on to GAMSAT-level practice. Only after a GAMSAT Math review, you can consider the section Dr. Ferdinand created on GAMSAT-prep.com dedicated to science GAMSAT-level graphs and tables, in Biology Lessons, Chapter 0: GAMSAT Biology Graph Analysis Practice Questions. Although science graphs can be very complex, it will make Section 1 tables and graph interpretation much easier. As mentioned earlier, it all begins with GAMSAT Math. All handouts are included in your course fee and will be provided on the day of the seminar. Please bring a pencil and pen for each day of class and a notepad for your notes, calculations and diagrams. Also, please bring picture ID to the first class for registration. Students are not permitted to make video recordings of our courses. No calculators are needed since they are not permitted for the exam. Please bring your ACER GAMSAT practice booklets (or e-book access with your electronic device or print-out) so that if time is left at the end, worked solutions can be presented in class. Since Gold Standard has already placed all Section 3 worked solutions on YouTube, we do not focus on using precious class time for that purpose. However, when there is applicability to content you have just learned in class, we may briefly examine content from ACER. Consider bringing snacks and bottled water as refreshments are not included. It is not necessary for you to bring the Gold Standard GAMSAT textbook to class; however, if you have any questions regarding any content from the book, you can bring it and there will be time for you to clarify any issues in class. Please note: if you are absent from the seminar, it is not possible to email/mail the course handouts. Handouts will only be given to the registered students in the classroom. Problem-based learning (PBL) is a student-centered active learning process in which students learn about a subject through the experience of solving problems. Students learn both thinking strategies and relevant knowledge. PBL is the most popular learning technique in medical schools across the world because research has shown that students learn better and remember longer as compared to traditional lectures. Gold Standard GAMSAT was the first to introduce problem-based learning (PBL) to GAMSAT courses in Australia. Virtually all students - regardless of academic background - participate in solving GAMSAT practice questions, and discuss responses as well as strategies. The role of the instructor is to facilitate learning by supporting, guiding, and teaching background content. Although PBL is central to the way we help to optimise your learning, it is your choice. If you do not wish to participate for any reason, when you register for class on the morning of the seminar, please let the instructor know and we will respect your choice. VR-1, ACER exams and/or other GS materials. It is possible to attend 1 or more days, in class, live online (interactive), or recorded (with 1 week's notice). BRAND NEW: 1 extra day added in order to use PBL to further develop exam-level reasoning and strategies directed to advanced and recently trending GAMSAT topics. Your 2 essays from the mock exam will be scored and returned to you within 48 hours with helpful, constructive advice. Get a higher GAMSAT score! Join our September or March-sitting courses today! Choose: 4, 8 or 16 essays. Click to learn more about GAMSAT University. "When I decided to take GAMSAT, I was completely lost and did not know where should I start since I did not have a science background... I purchased the book that guided me around main topics and the HEAP[s] book with 10 practise tests, I watched every single available webinar, I did live courses on campus, and used essay-correction services. I enjoyed listening to Dr Ferdinand because he does it with passion and a genuine desire to help students... I could not be more satisfied and confident with my preparation." "This course is absolutely perfect. Felt overwhelmed for all three sections before I started studying for the GAMSAT, and this helped me so much for all of them. . ."
"Excellent preparation materials including the book, videos, and practice exams…Thanks so much for all the effort you put in. Well worth investing in." "… the youtube breakdowns of EVERY SINGLE ACER past paper for FREE is truly a godsend for anybody who is studying for GAMSAT. For someone from a Non-Science Background such as myself, having these resources available to help me understand why I was getting questions wrong, and to provide a possible method for solving each of these questions was amazing. I can't thank Dr Ferdinand and his team enough for his work." "I just received my GAMSAT results and I’m over the moon with the results! I certainly would not have been able to do it without your help!" "The dedication, conscientious student-centred approach and excellent collaboration within the team are evident in the comprehensive range of their service – the textbooks, Question of the Day, webinars, videos, work solutions for practice tests, the Heaps book, the Live Course and the Essay Correction Service, to name a few. . ."
"Thank you Dr Ferdinand and the GS team. I sat GAMSAT for the first time in March 2018 and it would've been a complete disaster without your help. I come from a non-science background and after doing a lot of research into the GAMSAT courses that are available I chose Gold Standard. The content is great but I found the direction on how to approach the test the equally as useful. I've heard stories from people who have done other GAMSAT courses and they weren't provided with the depth of instruction and support that I received from GS." "Explanations were very thorough (the youtube videos are SO helpful, especially since they go through the step-by-step process). Gold Standards' materials allow us students to develop sound reasoning skills and fundamental knowledge :) Real life-saver." "So thankful for this course! No better way to study for the GAMSAT! You guys have thought of everything." "absolutely fantastic! 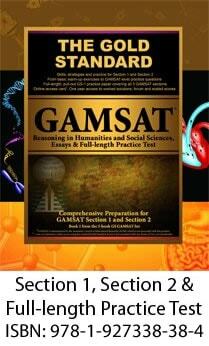 More than just basic/required knowledge but the reasoning skills that you need to do well in GAMSAT!" "I don't know how I would have prepared without Gold standard!!!!! Absolutely amazing especially all the Youtube videos with worked solutions, the textbook and online videos and chapter review questions. Would HIGHLY recommend if you are serious about preparing for GAMSAT!!!" Our GAMSAT September Course gives you instant online access to our GAMSAT University programme upon purchase + attendance to any one session of your choice from our 10 Online GAMSAT Tutorials + two proctored Virtual Reality GAMSAT Mock Exams on campus (VR-1 and VR-2) in August. 1000+ Section 3 chapter review questions followed by helpful worked solutions and a free, interactive forum to clarify any concerns. All VR Exams are followed by helpful solutions online and your essays will be scored with detailed feedback within 48 hours! *NOTE: All online access expires on September 12, 2019. Get all the features described above PLUS 10 online tutes for an additional $400 (Save $100)! 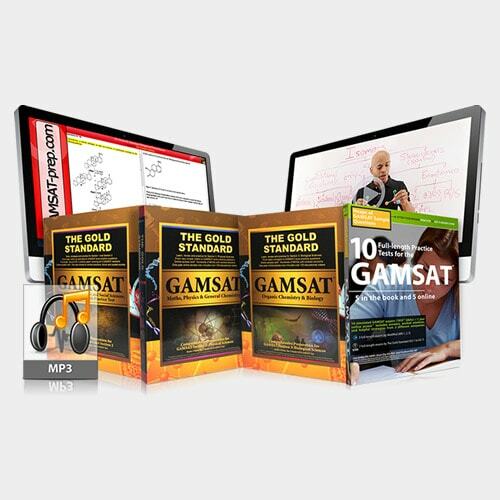 Get all the features of the Silver package PLUS The Gold Standard GAMSAT Home Study Pack (Save $200)! Join us in 2020 for our 10th year of providing GAMSAT prep courses on campus across Australia, the UK and Ireland! Dr. Ferdinand uses a problem-based learning approach to teach the most frequently tested GAMSAT topics in non-science verbal reasoning (Section 1), written communication (Section 2 essays), and the sciences (Section 3). A 1-day bridging course is available to help science students review Section 1 and 2 strategies; non-science students cover basic science to prepare for the next 2 days of science review. In this course, students sit a full-length practice exam (Virtual Reality GAMSAT VR-1 exam) on the 1st day; the 2nd day is for review and problem-solving analysis; the 3rd day is to cover advanced GAMSAT topics and to apply problem-based learning to the review of the content from the VR-1 practice test. A second full-length proctored GAMSAT VR-2 Mock Exam features the best of Gold Standard's GAMSAT-level practice questions. $349 for all 3 books, Save $40! 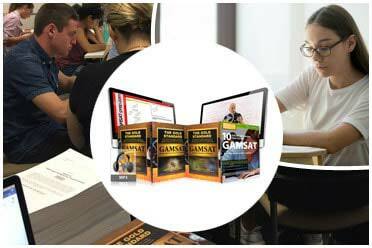 Gold Standard has now produced the most comprehensive preparation for GAMSAT 2019-2020. Three textbooks to help you learn each section in incredible depth. All come complete with heaps of extras, including one-year online access. Each textbook is in colour and has over 400 pages (total: 1312 pages; 3.5 kg). The biggest change from previous editions is the adding of brand new pages and content directed at problem-based learning starting with the most elementary ideas in each domain and working right up to complex GAMSAT-style reasoning. 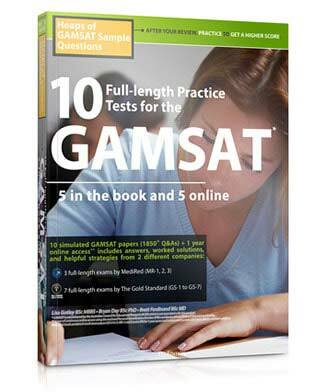 Complete your GAMSAT prep with heaps of practice with this brand new addition to the Gold Standard GAMSAT family! 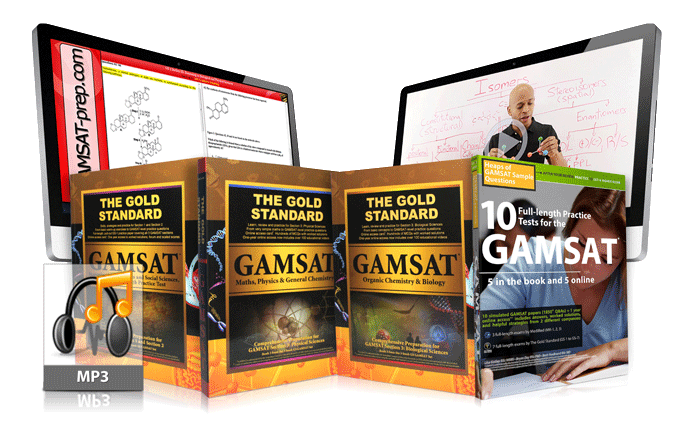 The Gold Standard GAMSAT 3-book set and Heaps book are part of the Home Study GAMSAT Prep Course and all complete course packages. $199 or buy with the 3-book set for $548, save $60! Offers clear teaching and reviews all of the topics that ACER requires you to know for the GAMSAT (science, verbal and written): 3 Textbooks (in colour; 1312 pages) + 10 Mock Exams Book (over 500 pages) + Online Science Videos + MP3s + Flashcards! Over 3000 practice questions available in the books and online using the GS Online Access Card with Personal Identification Number (PIN). 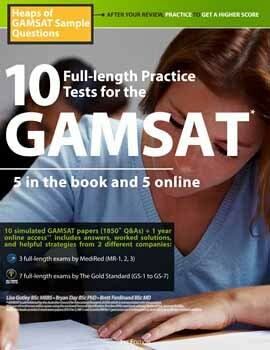 The 10 full-length GAMSAT practice tests that come with this package include helpful, worked answers: 5 paper tests in the book and 5 different tests online. Unlimited access to our 70+-hour video library for 1 full year using your PIN. In all, you will have access to more than 300 online videos. Bonus: GAMSAT online video that gives specific advice and strategies for the different sections of the GAMSAT to help you optimize your GAMSAT score, as well as hours of online videos to help you improve your skills for the medical school interview. Dispatch within 48 hours from Sydney, London, NY. Delivery in less than 1 week to Australia, Ireland, the UK, US. For other destinations, click: International Shipping. Section 1: Over 20 mini-tests: Poems, Cartoons, Verbal, Graphs & Tables, etc. Section 2 is not a spectator sport: to excel, you need strategies and practice. 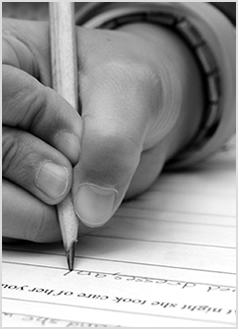 We offer up to 16 of your essays corrected/returned in days. $119 to $399 Tips + Practice! Home Study Course with 4 textbooks (3 Gold Standard GAMSAT books and the new 10 Mock Exams book) with Section 1: tips/strategies + over 20 mini-tests + Section 2: 8 of your essays corrected with specific advice for improvements + Section 3: 70+ hours of online videos + the abbreviated exam GS-Free. Besides providing you with a study plan, this Complete GAMSAT Course includes personalised comments and tips for your corrected essays and an online forum with a discussion thread for each of the over 4500+ practice problems with worked solutions so that you are never left in the dark about a problem (these practice problems include chapter review questions, mini-tests and full-length practice tests). You will not require any other books, notes or materials to prepare for the GAMSAT save ACER's practice booklets which are only available separately from ACER. Online access begins instantly after payment and continues for up to 12 months. Postage is free to Australia, Ireland and the UK. Dispatch within 48 hours. Free bonus: Gold Standard Medical School Interview online video (see below for a video clip from YouTube). 12 GAMSAT online tutorials with Dr Ferdinand: Meet Sunday evenings starting December 15, 2019 for 3 hours with a small group. These Sunday online sessions at 9 pm AEST are meant to help you focus on GAMSAT strategies, address your weaknesses and stay on track with your preparation objectives. 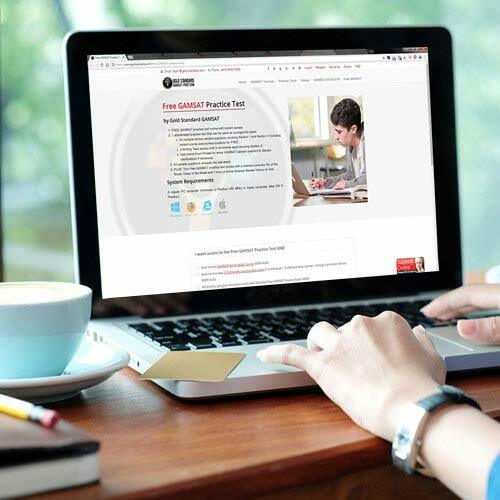 Get the Complete Home Study Package (4 books, 300+ videos, MP3s and apps) + 8 of your GAMSAT practice essays (6 from the attendance course and 2 from any source of your choice) scored with personalised feedback and advice from our team of experienced markers. 3-day Virtual Reality GAMSAT mock exam (VR-1) with review of worked solutions. you cannot join a class in person and, instead, would like to watch the session live (online) or the recorded version later. Access to the class recording is until the next sitting of the GAMSAT. Meet Sundays for 3 hours with a small group online with Dr. Ferdinand to focus on GAMSAT strategies and improving your weaknesses. Complete Course with Guarantee: Get ALL of the features described above PLUS live interactive seminars with a GAMSAT expert for a total of over 5000 GAMSAT practice questions with helpful worked solutions! For 8 full days, join us to expand your knowledge, develop your reasoning, and learn new strategies. If you cannot attend in person, you can watch live online or a recorded version of the class with access until March 22, 2020. Shipping is fast and free to Australia, Ireland, the UK and the US. Any package over $500 includes the following bonuses: Medical School Interview online video and small group teaching session either online or in class (Brisbane • Sydney • Melbourne • Adelaide • Perth • Dublin • London). We are the first GAMSAT prep company to surpass 5000 practice questions and the first to introduce problem-based learning (PBL) to GAMSAT courses. We are the only GAMSAT prep course to offer 15 full-length GAMSAT practice tests, 300+ online videos (no one comes close to our 70+ hours of online teaching on demand; see Physics Video below), MP3s, flashcards, iPhone and Android apps, Medical School Interview online videos, GAMSAT tutoring, and the only GAMSAT Course with over 50 hours of on-campus lectures, exams, and small-group sessions. We created a true multimedia buffet where you can choose your GAMSAT preparation based on your budget and the way you learn best. 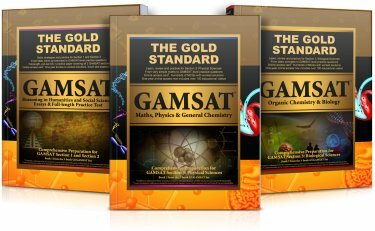 Gold Standard GAMSAT Prep offers the most practice questions, the most practice exams, the most teaching videos, and much more! More students use Gold Standard GAMSAT preparation content and videos – whether free or fee-based – to prepare for the GAMSAT than all other GAMSAT prep companies, combined. Our teaching materials are accessible, verifiable – you can test the quality before purchasing – and yes, we deliver award-winning content. You can read some student reviews in the flash below. You will find more unsolicited reviews from students here: Gold Standard GAMSAT reviews. On eBay, which has a strictly enforced review system, we only sell Gold Standard products resulting in more than 2500 positive reviews with years of 100% positive feedback, which you can verify: eBay Reviews. If you scroll up, you can also see some of our many 5-star reviews from Facebook and Google, which are also verifiable. Come learn from our experience. Gold Standard has been helping Americans become doctors for more than 25 years. But do we understand GAMSAT preparation? You don't have to spend a penny to find out. 100+ free GAMSAT teaching videos on YouTube, 9 years of publishing GAMSAT books that you can peruse at your local uni bookshop, and of course, our free monthly GAMSAT webinars. The webinars and our experience teaching GAMSAT courses for 9 years have helped us identify areas where students, with both science and non-science backgrounds, require additional assistance. The result of our experience is the current edition of the Gold Standard GAMSAT textbooks with more pages, illustrations and diagrams, and more MCQs than previous editions. We taught, we learned, and now we are delivering more for your GAMSAT prep: (1) free GAMSAT Question of the Day with worked solutions; (2) a completed free video library of all ACER's Section 3 worked solutions (Gold Standard GAMSAT YouTube); (3) the completely revised 2019-2020 editions of our award-winning Gold Standard GAMSAT textbook with more pages and, for the first time ever, significantly increased in size and then divided into separate, specialized books; (4) one of our most popular features which teaches science from scratch right up to GAMSAT level – our online videos – have been updated and expanded to 70+ hours including several hours of GAMSAT prep completely unique to Gold Standard: GAMSAT Graph Interpretation and Analysis problem-based learning videos. 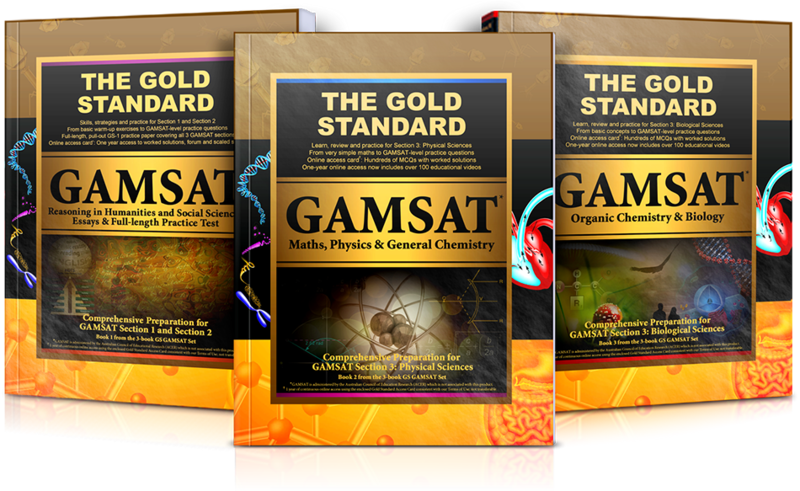 Our GAMSAT preparation materials, whether free or paid, are cross-referenced to the Gold Standard (GS) GAMSAT textbooks, our science teaching videos, and other helpful resources so that you stay guided in your review. Other innovations like our iPhone and Android GAMSAT apps, science review MP3s, online GAMSAT tutors, and complete GAMSAT preparation packages combine to show why The Gold Standard has been called . . . 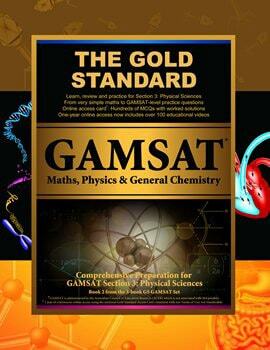 If you have never studied Physics before, we suggest you begin by reading the 6 chapters of GAMSAT Maths in the new Gold Standard textbook. After completing your GAMSAT Maths review, then the first topic in Physics is ‘Scalars and Vectors’. After viewing the video, take the time to solve the online chapter review practice questions which range from very basic up to GAMSAT level. “Learn, practice, then full-length testing” should be your mantra for success! Have you completed your GAMSAT Organic Chemistry Review? Try one of our new GS video GAMSAT practice questions! A reasoned approach to study for GAMSAT Section 3 is to begin by brushing up on your basic maths skills, then consider reviewing and practicing the following subjects in this order: Physics, General Chemistry, Organic Chemistry, and then Biology. Our extensive GS video library includes our 'old school' and 'new school' teaching videos, as well as virtual classroom videos. We teach basic subjects like the Physics in the video above, and GAMSAT-level topics like the Organic Chemistry in the adjoining video. In addition to our 70+ hours of online videos, the Gold Standard Home Study and Complete GAMSAT Course packages come with a medical school interview online video. Have a look at clips from your free Medical School Interview video. To learn more about this online video, click here: Medical School Interview video. Learn more about our courses and teaching on YouTube: GAMSAT, Medical School Interview. Still not sure as to how you can start your GAMSAT preparation? What is the GAMSAT? How do I prepare for the GAMSAT? Our free resources will help you get a clear direction and simplify your GAMSAT prep. Choose the tools that will help you learn best! We have various multimedia learning GAMSAT packages that you can tailor to suit your study needs and budget. Join our GAMSAT March or September courses at a campus near you! 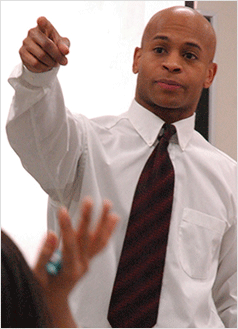 Or try our free seminars (online or on campus) to see if you like our teaching style. 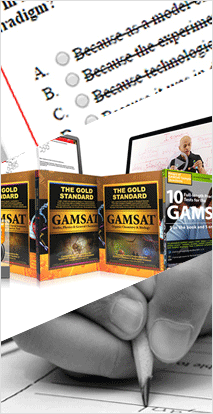 "From the comprehensive textbook, to the online tests, videos and forum, Gold Standard played a huge part in my 74 GAMSAT score." "I received an overall GAMSAT score of 72 with individual scores of 73, 68 and 74 in section 1, 2 and 3, respectively. I cannot thank Dr. Ferdinand (and everyone at GAMSAT-prep) enough for providing a course that really delivers!" 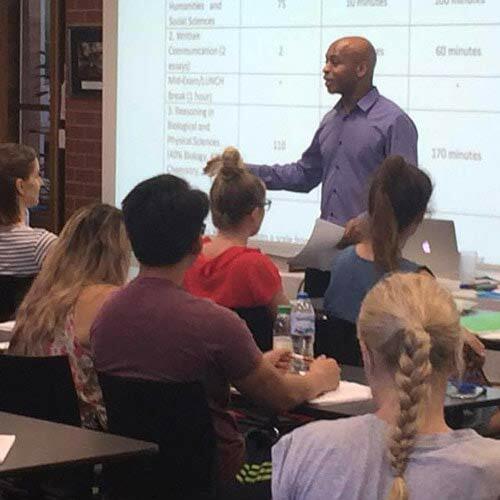 "I cannot praise your program enough; it helped immensely…"
"I completed the GAMSAT Prep course in Perth: 71 overall in the GAMSAT, with a score of 77 in the science section." 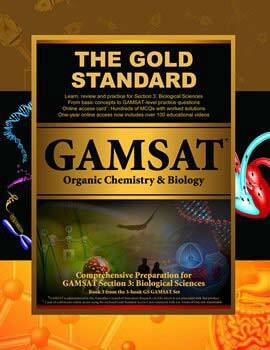 "The [Gold Standard] GAMSAT Prep package is an invaluable studying tool." 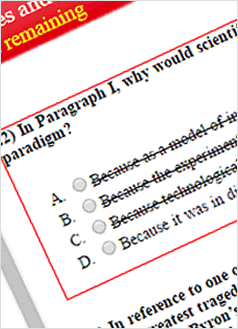 "I went to one of the science reviews and used the online essay correction and practice tests. I scored 74 overall, which I was stoked with, and I know I felt so much more comfortable because of the resources provided." 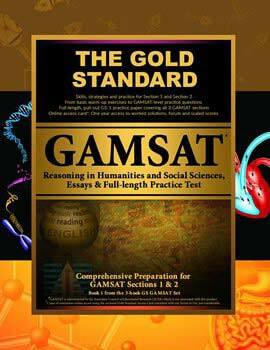 "[The Gold Standard Team was] an invaluable source of guidance in my GAMSAT preparation. All my essays received comprehensive feedback and definitely contributed to my highest score in Section 2. Thank you very much!" The ADD TO CART button(s) above permits you to pay using any major credit card, echeck from a bank account or payment from your Paypal account. Paypal also offers payment plans. If you do not wish to use Paypal as a 3rd party processor of your payment, you still have other options: If you wish to pay by phone, FAX, money order or certified cheque then click here: contact us. To pay securely with any major credit card from any country (without Paypal), please click here after you have determined the total amount you wish to pay: secure credit card payments. Simply enter the total price and item(s) description. Item ID and Client ID numbers are not necessary. Copyright © 2019 GAMSAT-prep.com. Currently our locations for Live GAMSAT Courses: Brisbane, Sydney, Melbourne, Adelaide and Perth in Australia; Dublin in Ireland; and London in UK. The Only Prep You NeedTM, The Gold Standard, GAMSAT University Online Course (test prep) and The GAMSAT Preparation Bookstore may be either trademarks/service marks or registered trademarks/service marks of RuveneCo Inc. All Rights Reserved.